If you are looking for more than your average square box home, look no further than 28 Iberia Crescent. 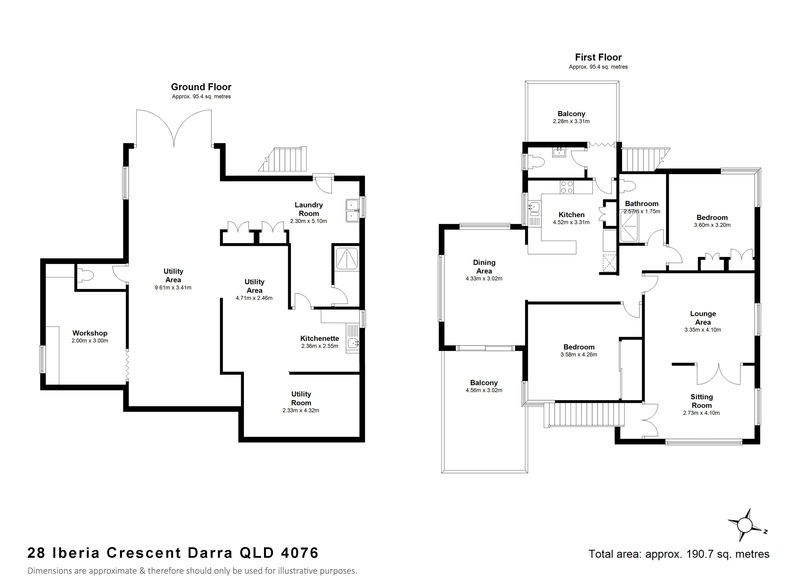 We are proud to present this fantastic highset home in the heart of Darra. Located just 14kms from Brisbane CBD with an express train connection just a 15-minute walk from your door, this home is perfect for those that want a big space with easy access to everything. Situated on a great big block that backs on to Ducie Park, the fully fenced block is perfect for those with children, pets or the green thumb. The highset home stands proudly in the manicured gardens, providing tandem undercover parking for the family car. Heading up the original staircase with wrought ironwork, you enter the home into the sitting and lounge area. You’ll immediately notice the beautiful polished timber floors and high ceilings, that provide this home with great character. The half wall with double doors can either open this space out for entertaining or enclose it to offer a cosy space to watch a family movie. The dining area is another bright, spacious room, with large windows to two sides, and sliding doors leading to a fantastic balcony. This provides the perfect combination of indoor/outdoor dining options. The centrally located kitchen provides an abundance of work space and storage with timber benchtops above solidly built cupboards. From here, a doorway takes you to a separate toilet that is ideal when you have guests over, and then on to another balcony overlooking the rear gardens. The two bedrooms are an excellent size and feature built in robes and large windows for a bright and spacious feel. With ducted air conditioning servicing all bedrooms, you can also be assured of year-round comfort. The family bathroom has been stylishly updated with contemporary tiling, frameless double length shower and floating vanity. Beneath the main home, the lower level has been completely enclosed, and now provides a massive amount of additional living space. As well as multiple utility rooms, there is also a kitchenette, a shower, laundry and a workshop. With doors leading out to the immaculate gardens, this additional space could be perfect for the hobbyist, home based business or for occasional or unexpected guests to stay in privacy from the main house. This home has so much potential, whatever you might be looking for. The current owners have done a fantastic job of providing an immaculate home for your family to move in to, yet there is still so much opportunity to make this place your own. Filled with character and charm, yet also with modern creature comforts, we are sure you will instantly fall in love with Iberia Crescent. Contact exclusive agent Julie Cheng to find out more today.